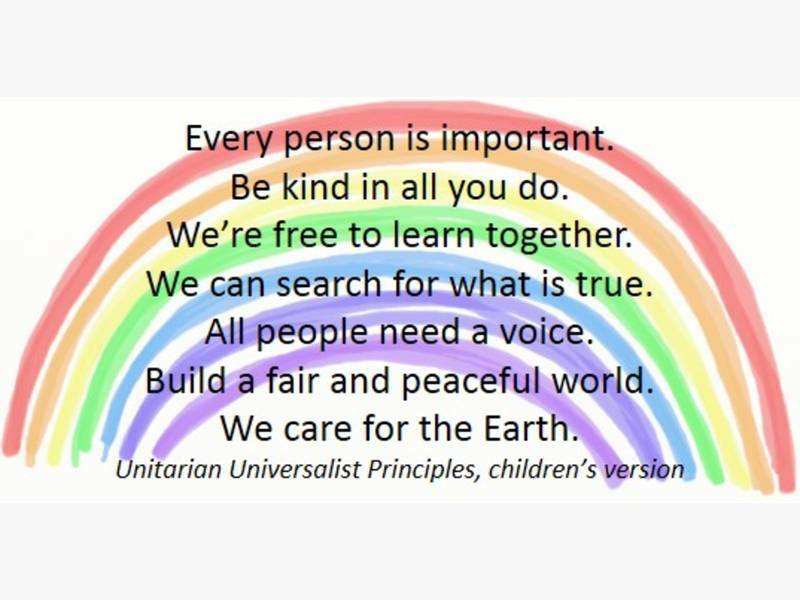 For Unitarian Universalists, religious education programs include more than classes. Programs may incorporate social justice and community service activities, worship opportunities, or creating art to share with the congregation. Join Us on 2nd Sundays from 9:30am - 10:30 AM in the RE Main Room for the Beloved Community Covenant Group. GNUUC invites you to bring your vision for beloved community and your questions, fears, hopes, and full humanity into a new group that will advance the work of this congregation in building towards racially just, multicultural, anti-oppressive community within and through GNUUC. Facilitated by Rev. Carmen Emerson and Amy Dudley. Childcare Provided. Children’s religious education programs are typically offered on Sunday mornings. You might find preschoolers singing a song about making new friends, elementary aged children engaging with a story about loss and bereavement, or older youth speaking to the congregation about their plan to raise money for a local homeless shelter. Children's Religious Education is offered on Sunday mornings during the morning worship service. Learn more about our Children's Religious Education program. Adults experience spiritual growth through one of our many Covenant Groups or an Adult religious education classes. There are Adult RE classes happening every Sunday morning from 9:30 - 10:30 (except for 5th Sundays). New UUs, consider joining the Starting Points class! See Adult Religious Education for a list of classes. Joining a Covenant Group is a great place to get to know other people and to get to know yourself. In a Covenant Group, groups of 10-12 people meet regularly to reflect on and discuss significant life topics. Over time, participants build deep connections with one another, with the congregation and with the sacred.